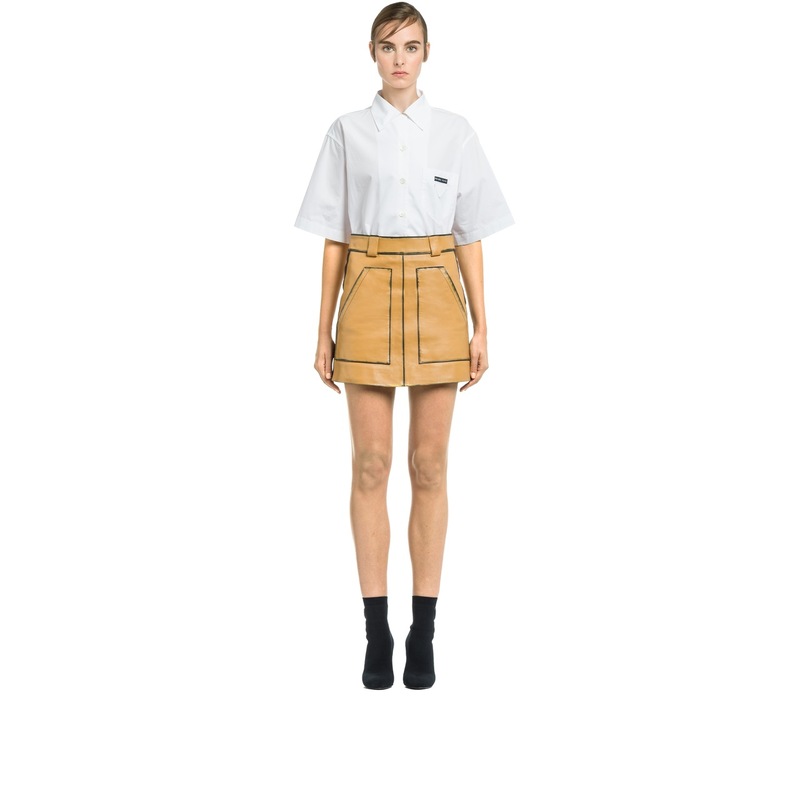 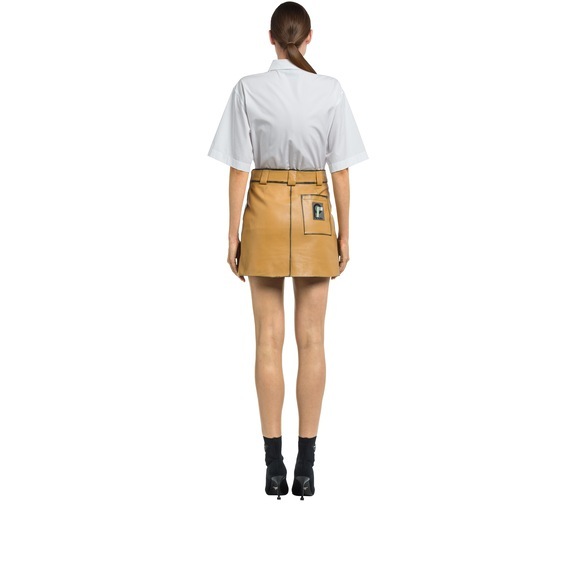 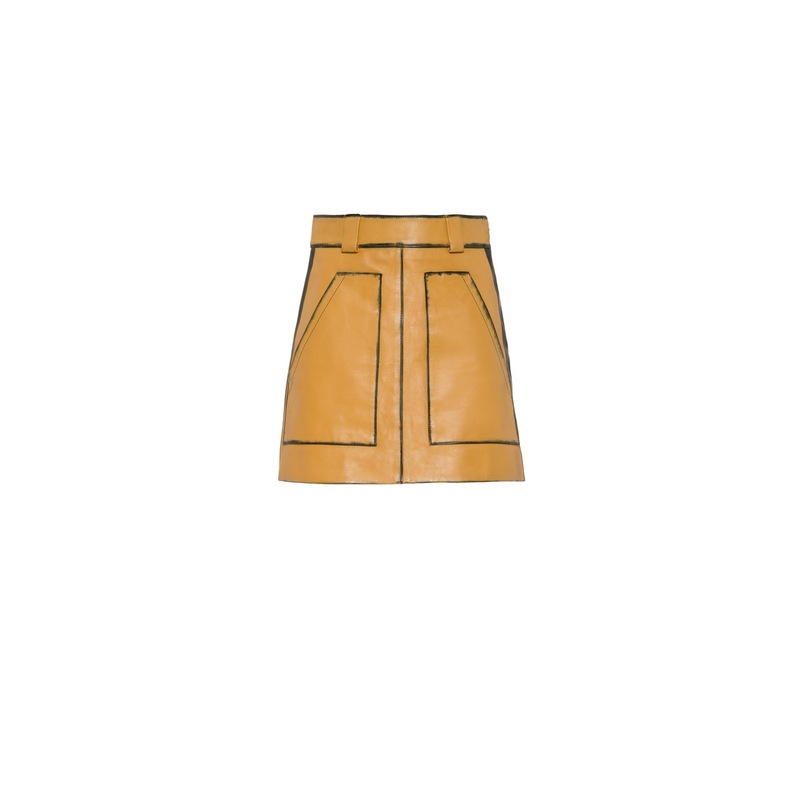 This vintage calf leather miniskirt has a retro mood. 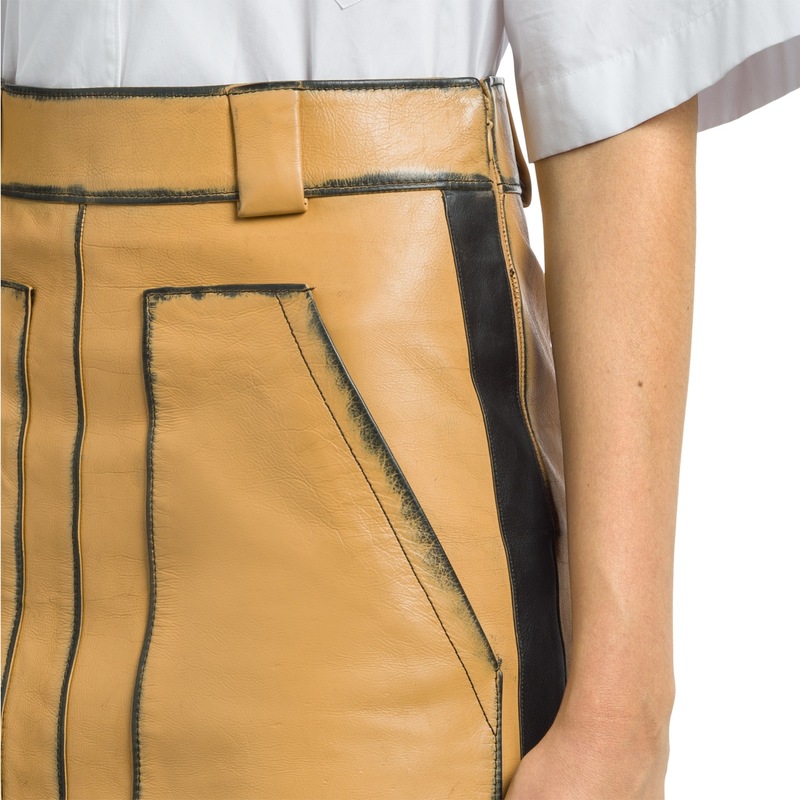 The large pockets on the front, the patch pockets on the back and belt loops define the design. 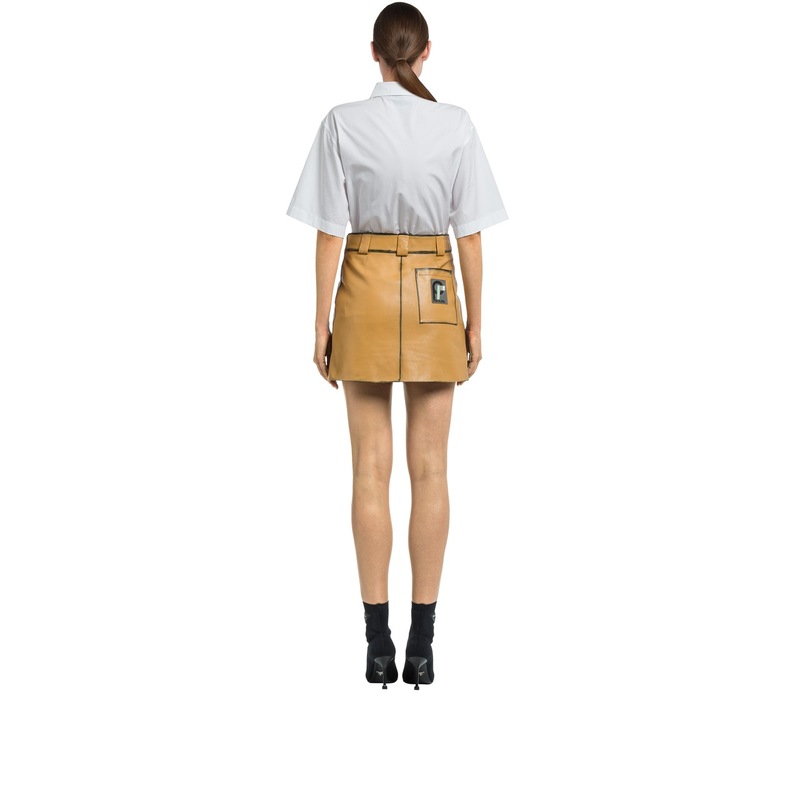 A logo patch decorates the garment.